Eco-Friendly Gift Wrapping Service Now Available! Order in for delivery on * Saturday 27th, April * * Indicates: Delivery on the next business day must be selected when the order is finalized. 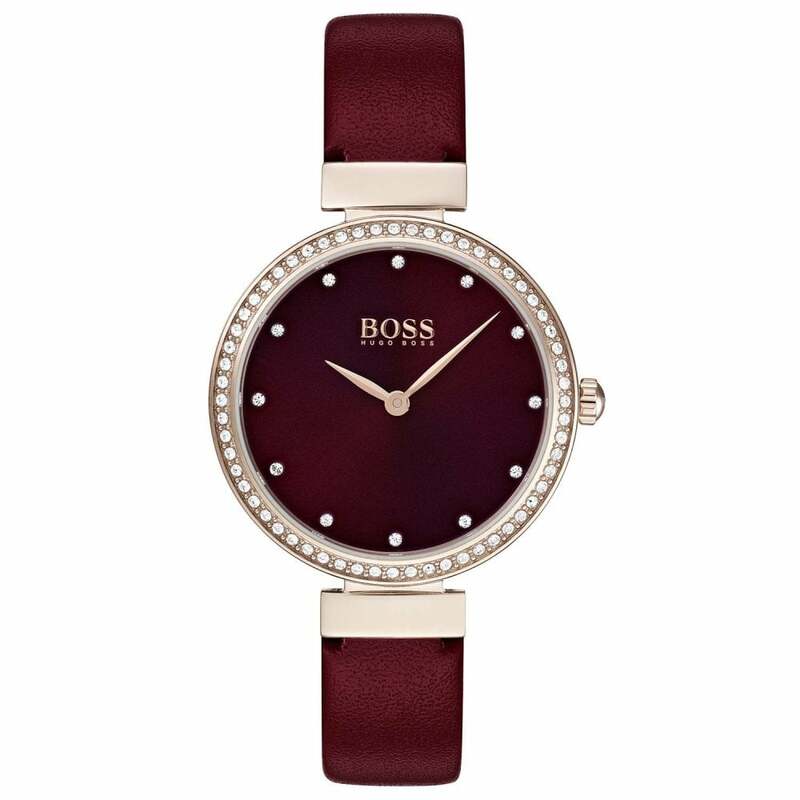 The Ladies' Hugo Boss Celebration Watch 1502480 is available from Hillier Jewellers. Fitted with a red leather strap this rose gold plated Hugo Boss Watch 1502480 is supplied with a Hugo Boss Gift Box.